Minimum quantity with your imprint, 24. Quantity variation +/- 5% is possible and billable. 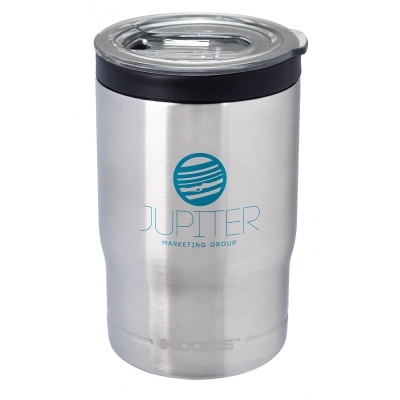 Versatile vacuum-insulated tumbler or bottle/can cooler. It has a functional drop-in lid that converts it from a can/bottle cooler to a tumbler. You can drink through the lid. 13 ounce capacity. Sweat-proof. Product Size: 5-1/8"h x 3-1/4"diameter.